How could I ever say “no” to a fellow coffee lover? I could not possibly! I can’t let you miss out on the latest bit about how coffee affects our health! After all, I have written about how to make coffee a healthier habit before as well as things to add to your cup to make it even more mind-blowingly-healthy. So, of course, I want to let you in on some recent research that Austin Baines (fellow coffee nut) has gathered for us to see how each cup of java could possibly affect how we tap into our mind as well as fend off disease! Austin Baines is a coffee roaster and connoisseur at Cubico Coffee, a unique Florida coffee roaster that offers personally customized coffee blends designed by each customer. He offers good tips and advice about Kona, Blue Mountain, and Jamaican Blue Mountain coffees. When Austin is not making a delicious brew, you can find him on the web and on Cubico’s twitter account exploring coffee’s newest and finest trends. Over the last few years, coffee has risen from its former status as just a popular and delicious drink to a veritable superfood. Recent studies, and the hundreds of pop-science articles that follow claim that coffee even helps to extend our lifespan. 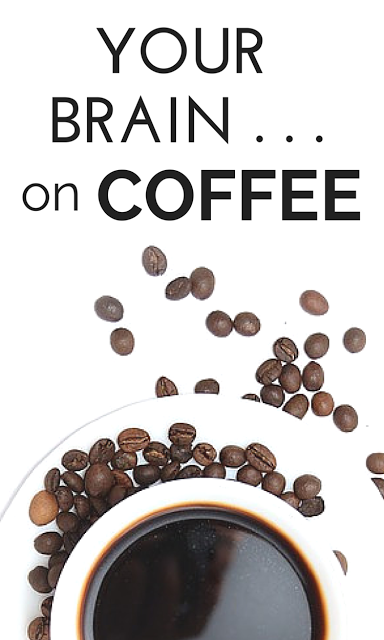 What’s more interesting to us, though, is what coffee might be able to do for our brains. Let’s take a look at what some studies have found out about some of the effects that your cup o’ Joe is having on your mind and the health of your noggin’! 1. Coffee Improves Your Memory & May Help You Learn! 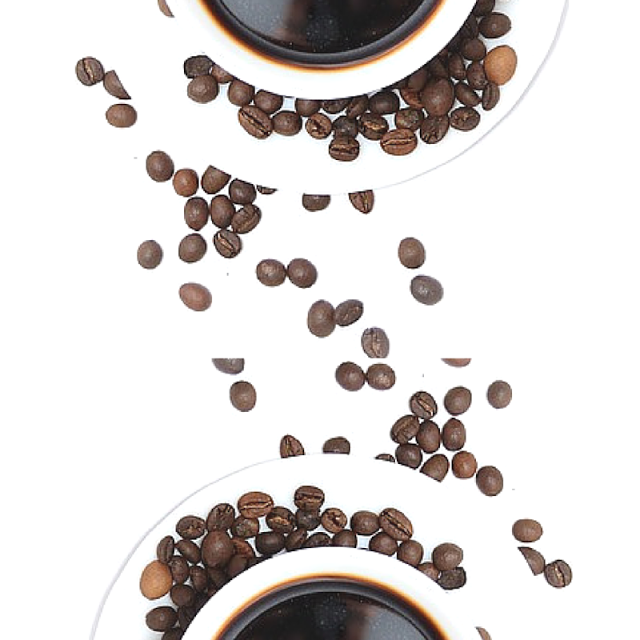 A Johns Hopkins study published in Nature Neuroscience used a double-blind trial to test the effects of caffeine on memory. It showed that coffee improves coffee drinkers’ memory consolidation for the following 24 hours after consumption. This applies to memory consolidation, and not retrieval, meaning that it’s great for learning new things, not for helping you recall something that you learned before. This seems to be due to the stimulant effects of caffeine, though further research is needed. What it means for you is that you should put the coffee on when you sit down to study or learn, not just right before the test or the big presentation at work. 2. Coffee Might Fight Some Diseases. A study published in the American Journal of Clinical Nutrition used data from 7 different countries to show that coffee has a small but noticeable effect on the development of glioblastoma, or brain tumors. The study measured average coffee and tea consumption by specific populations and compared those against the incidence of brain tumors and rate of progression of those brain tumors. Coffee and tea consumption correlate to a lower incidence of tumors, as well as slower tumor growth. The scientists weren’t able to determine how coffee can reduce your risk of brain cancer, but both the caffeine and antioxidant properties of tea and coffee are likely culprits. The Journal of Alzheimer’s disease published study in 2010 that strongly suggests that coffee can be used to protect against and fight Alzheimer’s and other types of dementia. Mice that were fed significant amounts of caffeine from young adulthood on were protected against memory impairment as they aged, and had lower levels of the beta amyloid proteins that form plaques and cause Alzheimer’s symptoms. Even better, mice that exhibited Alzheimer’s symptoms experienced reduced levels of beta-amyloids, memory restoration, and improved cognitive function within 1-2 months of beginning the trial. Alzheimer’s has long been a disease that we couldn’t do anything about, but a part of the answer could have been sitting in our coffee cup this entire time. This has huge implications in terms of preventing, delaying onset, and providing therapies for the disease. 3. Coffee Could Increase Stress & Anxiety If You Drink A Lot of It. While coffee has a lot of positive effects on our brain, the stimulant effects of caffeine do have a downside as well – if consumed in excess. This study shows that coffee can have an adverse effect on our mood when consumed in significant amounts. Caffeine increases alertness, but contributes to sensory overload and increases our stress levels. Over time, this can manifest in the form of persistent anxiety issues. While this doesn’t affect everyone, this could, in turn, have negative implications for things like heart health, and our bodies’ natural inflammatory processes, which is why the scientific community’s research on coffee is far from over. I hope you enjoyed Austin’s peek into how coffee affects brain health. I certainly learned a few new things. Austin and I look forward to hearing your thoughts in the comments! If you love coffee as much as Austin, follow him here to get the latest coffee tidbits. It is important that you check out how to make your coffee the right way for best health benefits. Here are loads of ideas of what to add to your coffee and tea for great taste and health. Not a coffee drinker? Well, tap here for a spot for all kinds of delicious and healthy drink recipes you can whip up quickly to slurp down right along with your coffee-nut friends. Yes coffee is has lots of benefits. It's the best pre workout drink to have. It helps to boost up and provide energy. BTW nice post! Thanks so much! Glad you found the post helpful! So love your blog! Just caught up on some amazing posts! I adore all things coffee, but I do try to keep my intake below 2 cups a day. Me as well, Caleb! Love the taste but 2 cups a day is usually where I stop. I appreciate your kind words and support. It means so much! Currently enjoying my morning routine of watching the dogs play in the yard through my living room window while I sip coffee and catch up on my favorite blogs, so now I feel even better about it! Love my coffee, but I only ever really drink one cup each morning and I rarely finish that. It's more about the routine for me than needing it to wake up. I tend to do that as well, Arielle. Pour a cup and not actually finish it, but, I so look forward to it in the morning even if I only have a small cup of it! Happy, healthy weekend to you and thanks so much for stopping by and taking the time to comment. I adore all things coffee, but I do try to keep my intake below 2 cups a day. So important to listen to what is right for you, Nicole! I love it, too, but I only drink it in the morning. I appreciate you adding in here. Glad I could provide more info for your obsession, Annmarie! Thanks so much for coming by. Like most of us, I am a coffee lover so thank you for sharing this valuable and informative info about the ways coffee affects our brain at the Healthy Happy Green Natural Party! I'm Pinning and sharing this! Thanks for sharing, Deborah, and happy you learned something here at THM! Very interesting article. I always love reading about the positive effects of something I love! I can definitely relate that it increases anxiety as I've felt that sometimes I get a little too much of a buzz if I have more than my normal consumption. Tweeting, stumbling and pinning this post. <3 Happy Friday! Balance is key to coffee consumption and to learn what is right for you – that is true, Lindsey! So glad you liked the information and so kind of you to share. I appreciate that so much! No odd ball at all, Launna! I have friends and my husband who do not care for it at all. And, when I was pregnant, the smell made me run! Everyone has different likes and dislikes and we should pay attention to them! I supported your coffee habit, today, huh? The research is interesting, Jamie, and it was great of Austin to share it with us. Great, Cayanne, that you learned something new here and very happy a coffee-nut like me came by to say hello! Put your fears, aside, Gingi! More and more research is going on for many people's favorite drink and the results are interesting! Keep your eyes for more to come on this topic, I am sure. So glad you came by. I'm not a coffee drinker, but my boyfriend loves it and is always telling me how good it is for you. I will share this article with him! Thanks, Janelle! Hope your boyfriend finds it helpful. There are some other posts linked in there as well about coffee and making it healthier, etc. Ah, yes, from one coffee drinker to another! Cheers! I just can't get into coffee. Anything coffee or mocha flavored I do not like. If I can't eat coffee-flavored ice cream or candy I don't see any chance of me ever liking it. Not a good choice for you then, Cassandra! Important to listen to what is right for you – absolutely! Thanks for adding in! I have to admit that even though I heart coffee, I'm slowly removing it from my habits. It's not because of coffee itself, but the dependency. I'm not human if I don't drink a cup a day. This "addiction" is unhealthy. I want to clean my system from it so that I can start enjoying it again without making it a means of life. Thanks a lot for the great information! I can understand that, Debbie, and probably a good idea. Do what is right for you and take a break and see if you actually enjoy it more without having to have it! Thanks so much for reading and so good to see you here!